Mystery, 110% power, explosive strikes, reel screaming runs and gravity-defying leaps makes the Tarpon the ultimate Inner Banks challenge! 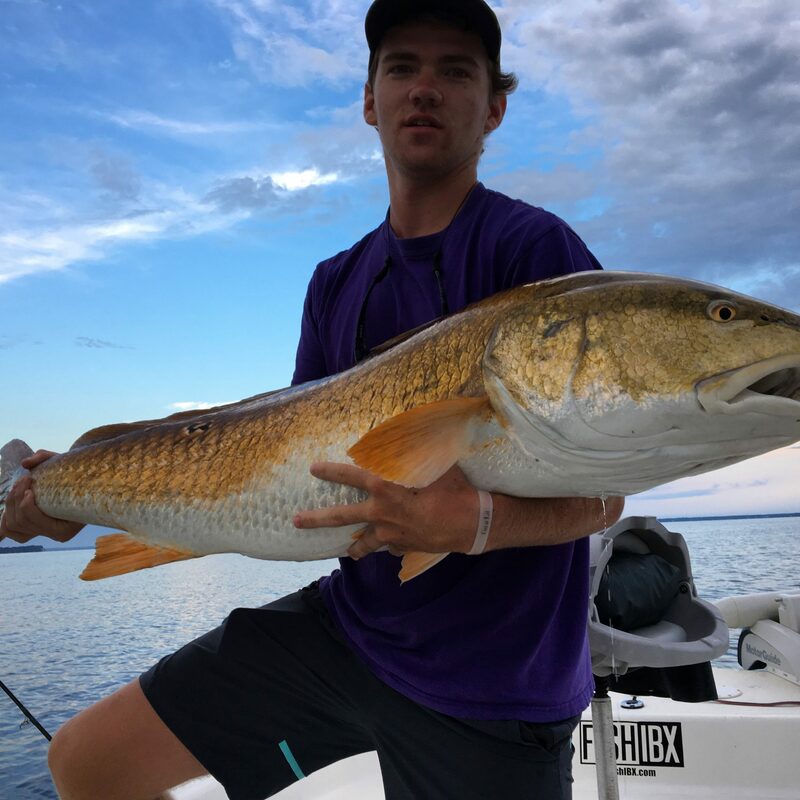 Landing the Silver King is truly a big game experience that tops all on inshore waters. Every encounter with this fish becomes a challenge for reputation. As a guide and Tarpon angler the arrival of this magnificent fish becomes a relentless pursuit starting in late June running through Mid Aug. 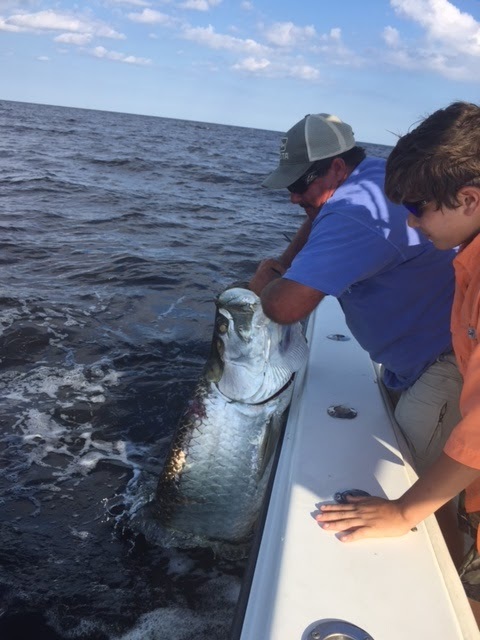 The Pamlico Sound, Pamlico River and Neuse River draw some of NC’s largest numbers of Tarpon and this gathering of adult fish can produce a class of fish well over 80 pounds. Allow Capt. Mitchell Blake to show you what NC has to offer, his journey with this fish is far more than a fishing trip.